There are several choices when it comes to countertops. One of the best choices to make is installing granite countertop. They bring unique advantages. These can make a room look more beautiful. They reduce the number of bacteria. They also make for a significantly more flexible surface than other materials. Let’s take a look at three of these benefits. We’ll better understand how granite countertop can benefit residences in Wayne and North Caldwell in New Jersey. Granite is non-porous. This is one of the biggest advantages a granite countertop retains over other types of countertop materials. It is a material that doesn’t harbor bacteria. It doesn’t allow residue to collect in microscopic areas. Wooden countertops do. This happens because of the porous nature of wood. They must be regularly disinfected. This reduces cross-contamination and other undesirable occurrences. Granite countertops are sealed when properly installed. This adds another layer of protection against bacteria. This also fights other undesirable features. It makes these countertops even more inhospitable for bacteria. Countertops can be relatively troubling to install. This especially happens when you use materials other than granite. They may fail to fit the existing architecture of a home. This happens due to limitations of the materials. Wooden countertops are a good example for this. These countertops can be cut to fit the curves. They can shape nuances of most kitchens. They also tend to encounter issues when they are cut. They may develop rough edges, pits, and countless other imperfections. These are all possible problems for homeowners. Granite countertops are different. They cut smoother. This allows them to perfectly match any form. They can do so in a smooth way. It makes them free from the many imperfections other countertop materials may have. The best part of this form-fitting nature is the next fact. 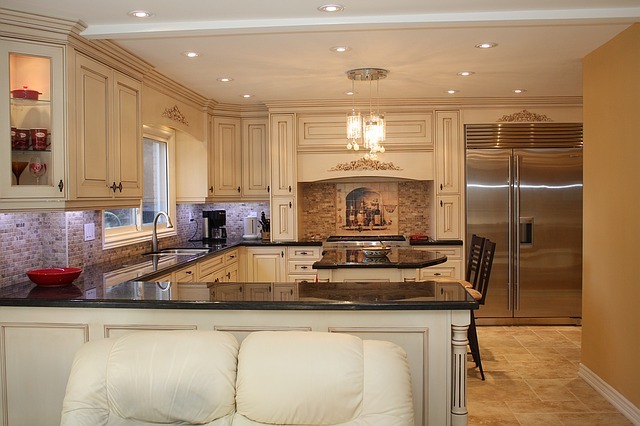 Customizing the shape and size of granite countertops can be done at the site of installation. This can be done when the contractor has the right tools for installing granite countertop. This makes granite countertops excellent, due to the convenient nature of an installation. It also reduces the overall time required to install these awe-inspiring countertops. There is no need to wait for custom moldings and other details. Granite is durable. It’s likely that a granite countertop would be one of the few things left standing without any maintenance to age. These countertops are designed to withstand constant use. They require only minimal maintenance. This allows a solid granite countertop to last for decades. It is only important to be installed properly. A granite countertop provides a unique look. It brings a kitchen together. It can act as a barrier between under-counter cabinets, sinks, and food preparation surfaces. It is true that granite countertops can sustain damage. This damage can be in the form of stains or scratches. Stains can be prevented through regular maintenance. It includes a yearly sealer application and cleaning any acids from it. Scratches, chips, and other minor damage can be repaired in the area by an expert. 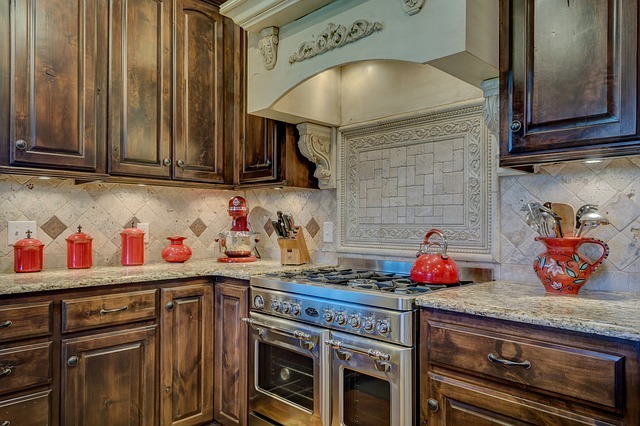 Heat doesn’t bother granite countertops. Wooden, plastic, laminate or tile countertops would suffer certain damage from it. Granite does not warp. It tends to be incredibly resistant to any excess heat. The density of granite mixed with the larger surface area of a granite countertop gives it this quality. 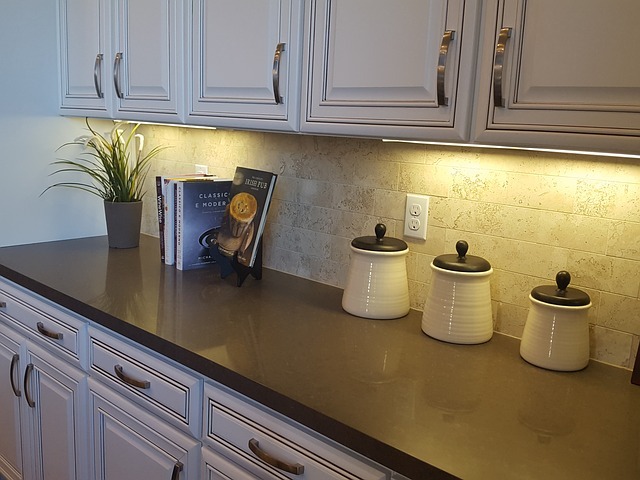 Granite countertops are durable, resistant to heat, and easy to install. They are capable of fitting almost anywhere with the right tools. Granite countertops are easily repaired. They come in countless eye-catching styles. There are different styles, from the unique look of Ghibli Granite and Baltic Brown Granite, to the neutral styles of New Caledonia Granite and Desert Brown Granite. Installing granite countertop in a New Jersey home brings an entirely new life to the building. This is certain. Call us for a free estimate. Learn about the price of granite countertops. Inform yourself of the many styles we have available. You’ll be amazed at what a granite countertop can do to improve the beauty and value of a home.